And biologists have rare footage of the sleek black leopard walking majestically in Kenya - the first time the animal has been photographed in Africa since 1909. "When I heard that a black leopard had been seen up at Laikipia Wilderness Camp in Kenya my ears pricked up and I contacted the owners Steve and Annabelle Carey to find out more", Will revealed in his blog post. 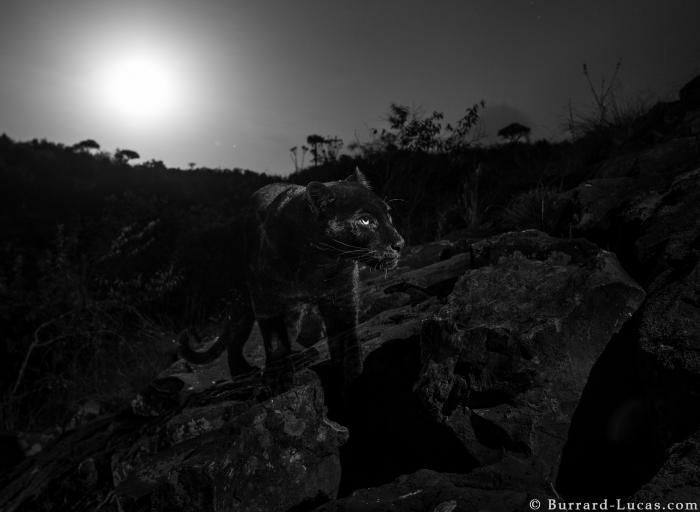 "As I scrolled through the images on the back of the camera, I paused and peered at the photograph below in incomprehension ... a pair of eyes surrounded by inky darkness ... a black leopard!" Will captured a spotted leopard on one of the camera traps, which could be the black leopard's dad. "Melanistic leopards have been reported in and around Kenya for decades, but scientific confirmation of their existence remains quite rare", states National Geographic on their website.